Comments: Has fragrant flowers that attract hummingbirds. 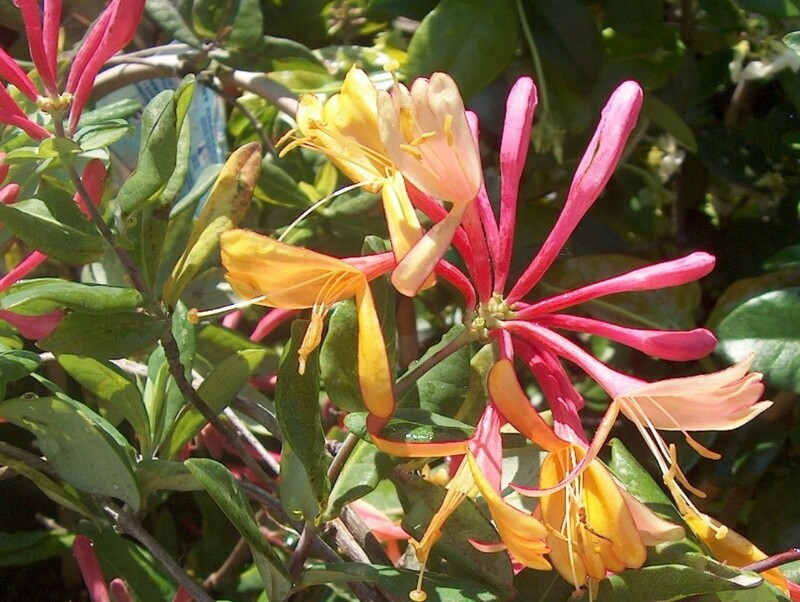 Flower buds are deep pink and as they open they turn a yellow-orange. Use on fences, trellises, arbors and other structures. It is a drought tolerant plant.